The cognitive dissonance of the Baltimore Sun’s editorial stance on the State Center project is truly a wonder to behold. The Sun’s Editorial page consistently produces vapid doggerel in support of this taxpayer funded boondoggle while blithely eliding the fact that the Board of Public Works, in a bipartisan vote, unanimously air lifted the state out of a disastrous financial deal engineered by the O’Malley administration lubricated with political cronyism. The cost to taxpayers for this political lubricant: an increase in their property taxes. The simple truth is this. The leases agreed to, but not executed by the O’Malley administration—that it lacked the moral or political courage to bring forth for approval—are capital leases. Capital leases count against the state’s debt affordability and would breach the state’s debt ceiling, thus triggering a property tax hike. Furthermore, the Board of Public Works could not legally approve capital leases without the approval of the legislature, and the legislature’s fiscal leaders were extremely hesitant to lend their imprimatur to the deal. “Right. So I just don’t see how this isn’t – I don’t see how this isn’t a capital lease. And I don’t see how – I mean if you go this direction, haven’t you amazingly invented a way for us to dramatically reduce our capital expenditures, by simply calling the duck a chicken, and us, and us saying to the rating agencies, ‘tada, we really don’t have any debt…. this is a capital lease and we should book it that way, so that we don’t find ourselves in a problem later on. Richard Madaleno December 9, 2014. Of course, the time for intellectual honesty and consistency is past because a Republican Governor is up for reelection, and Madaleno, a wannabe governor himself, has predictably changed his tune. 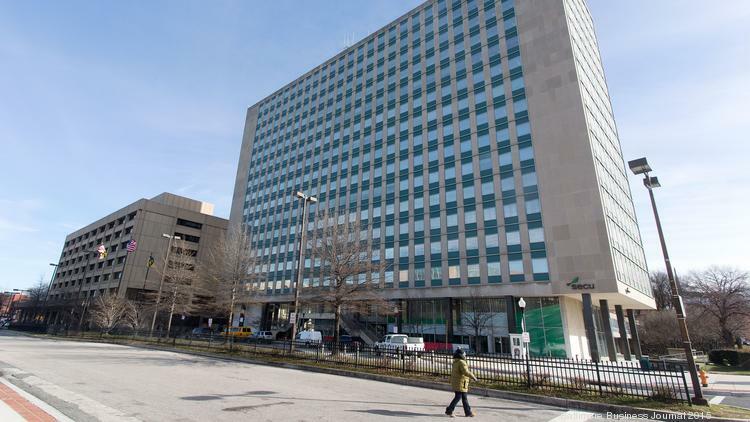 Governor Hogan’s strong commitment to responsibly redeveloping State Center is on record. The only people standing in the way are the O’Malley cronies, who are hell bent on holding state taxpayers hostage for the multi-million dollar pay day orchestrated by the previous administration. That the Sun’s editorial page is regurgitating talking points, provided by the former O’Malley aides running the public relations firm advising the current developers, is not surprising. What is surprising, given that the head of the editorial page is a state budget expert, is the insouciance towards the cold hard fiscal math that shows the current State Center project is a raw deal for Maryland taxpayers.